Posted July 25th, 2016 by alexa & filed under Families. 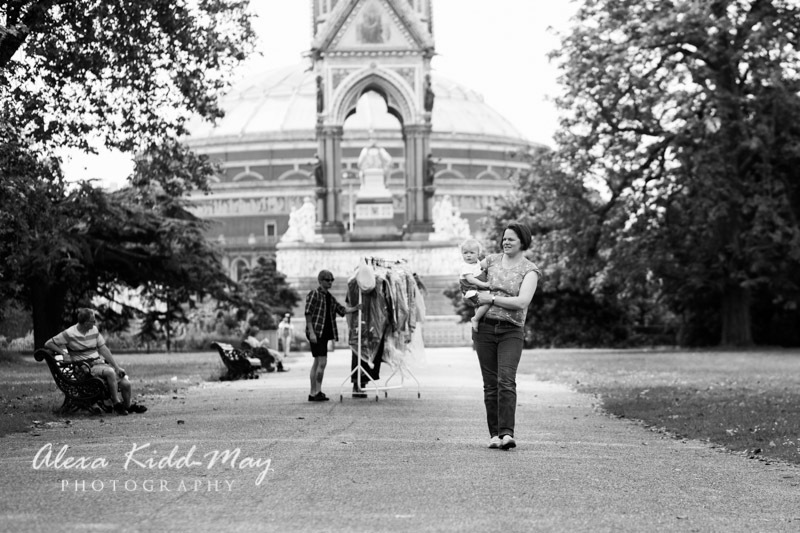 As a London baby photographer I love photography sessions with babies of all ages. 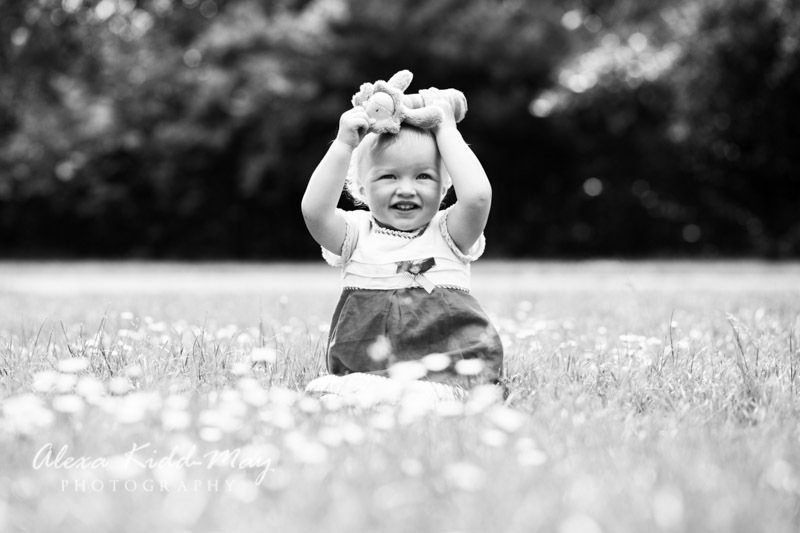 I enjoy photographing newborns and it’s also fun when they start to take their first steps. Every stage along the way is so different and equally wonderful. 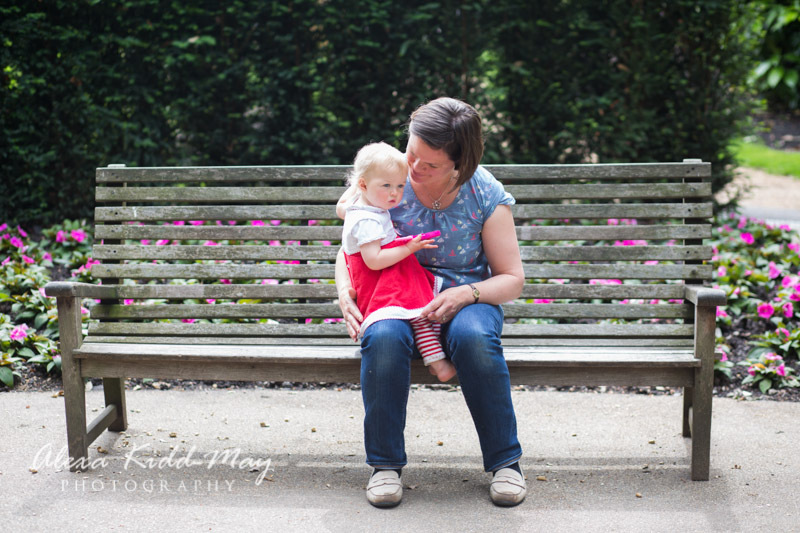 One of my favourite ages is when the baby is sitting up easily but not yet walking. 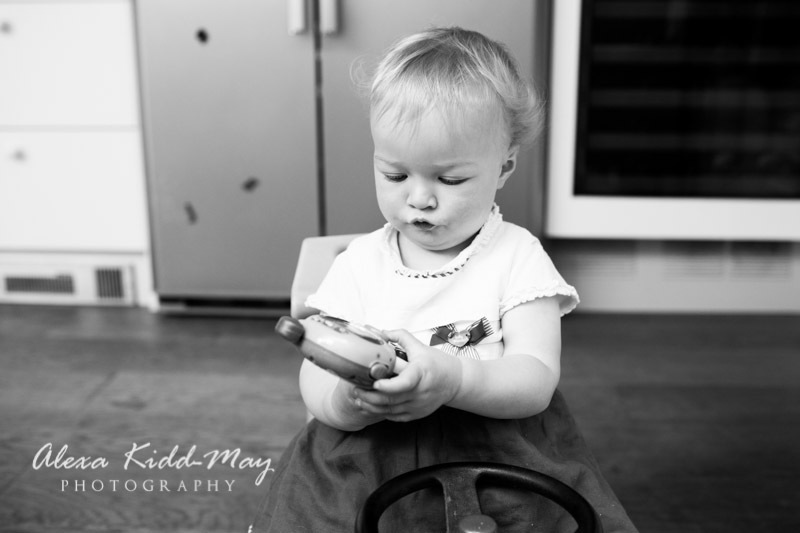 Once they start to toddle it’s a whole different ball game. This tends to involve a lot more running to catch up with them! 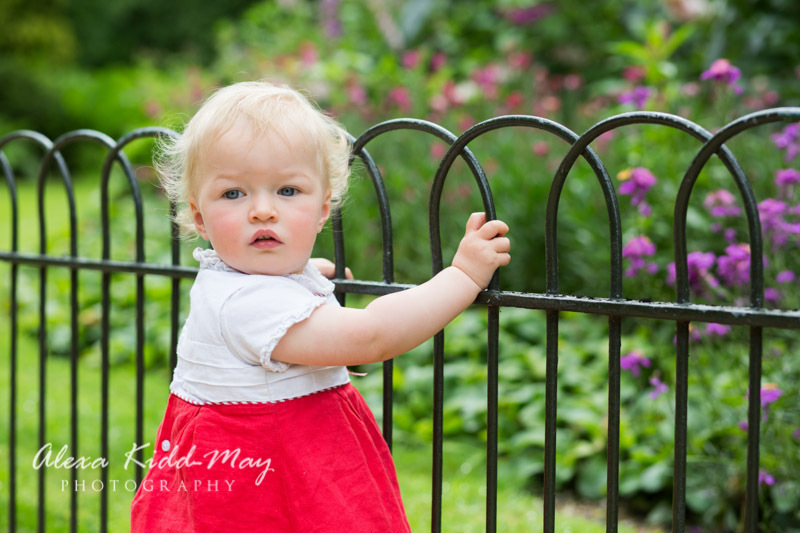 When Emily’s mum got in touch to photograph her daughter I was pleased to hear that Emily was at this perfect stage. She was not quite walking (but close). 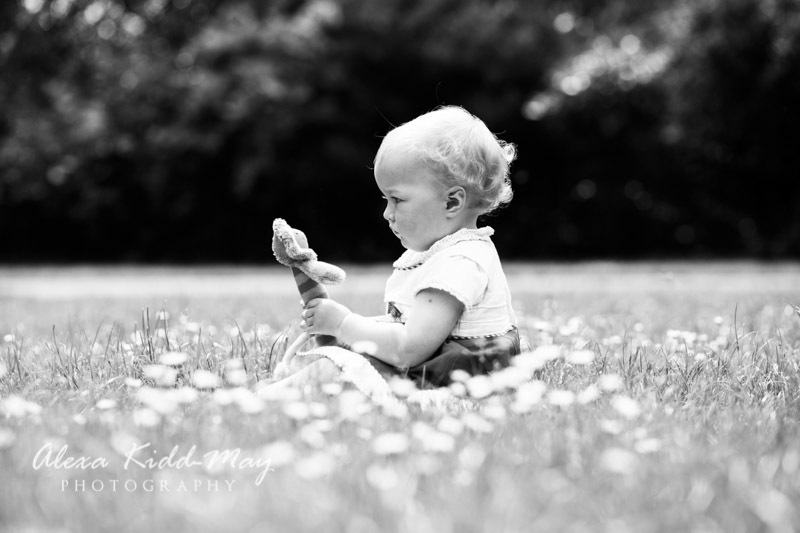 The brief was to capture a lovely image of Emily. This could be framed and put alongside a photo of her elder brother in the family kitchen. I arrived at the family home in Kensington early one sunny Friday morning. 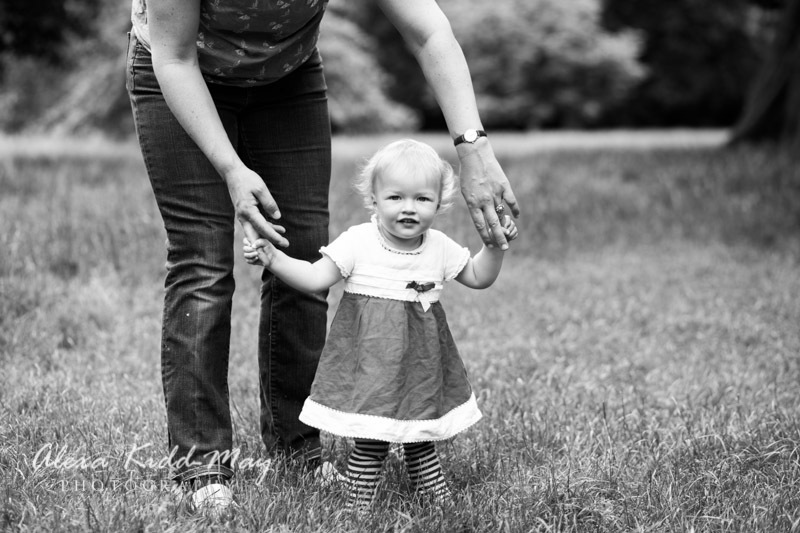 Photography sessions on a weekday work well with a child of pre-school age if the rest of the family are not involved. 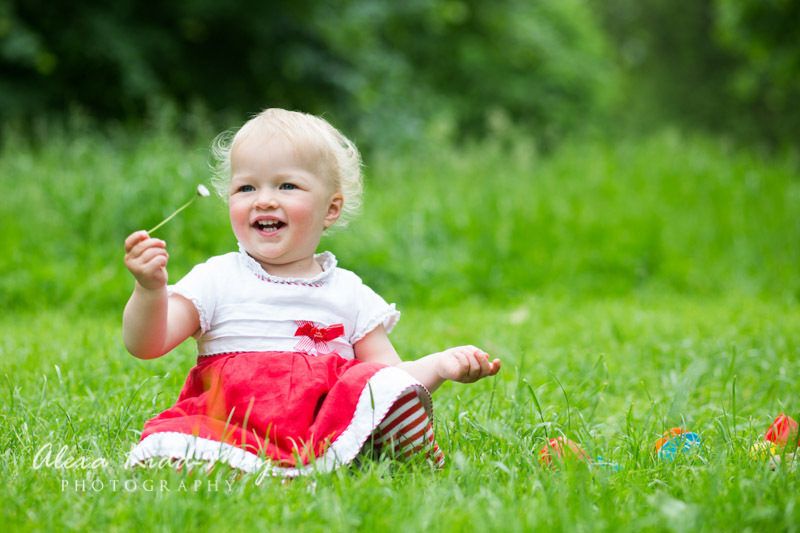 One of the reasons is that parks and other outside locations are a lot quieter. 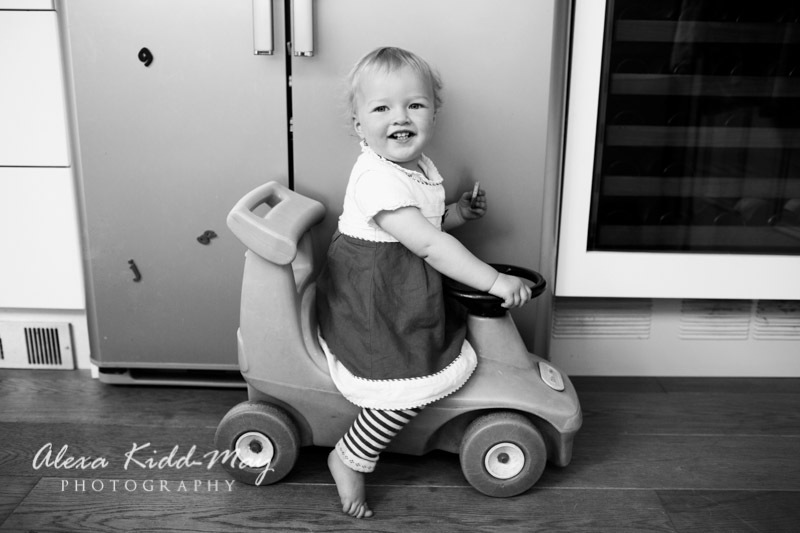 We started off capturing some images of Emily in the family kitchen as she played happily on her toy car. 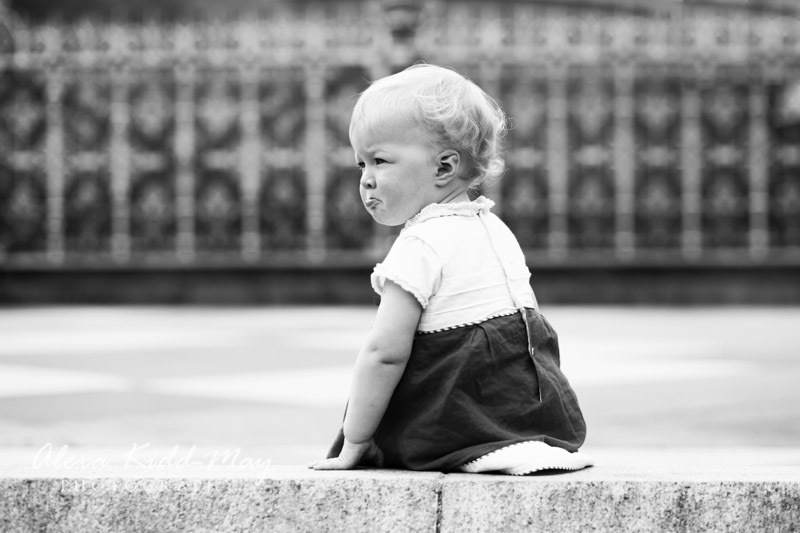 As it turns out one of these images is the one that has ended up in a frame on the kitchen wall. That seemed quite appropriate really! 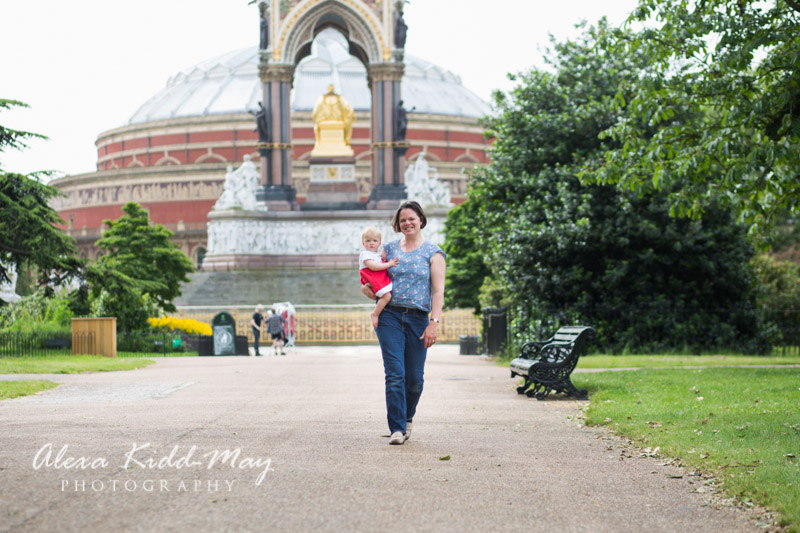 We then set off for Kensington Gardens where Emily was the absolute perfect model. 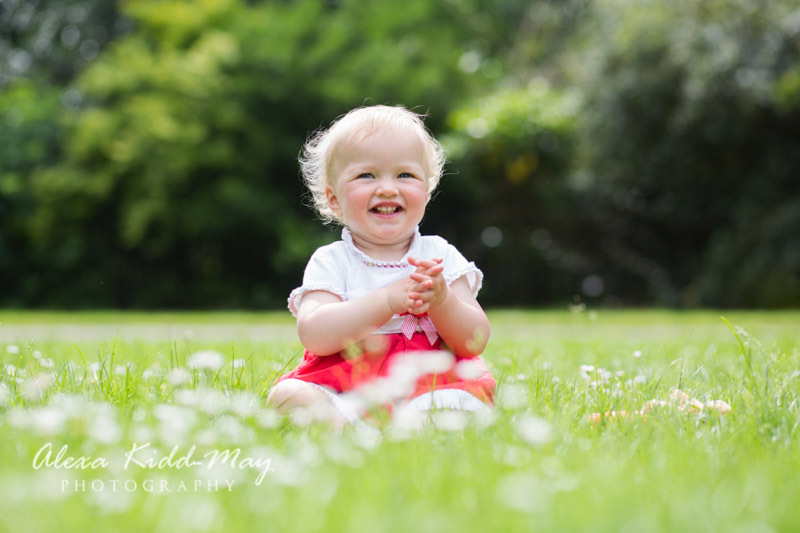 She sat happily in front of different backdrops, playing with daisies, laughing at passing dogs and popping bubbles that her mum blew at her. 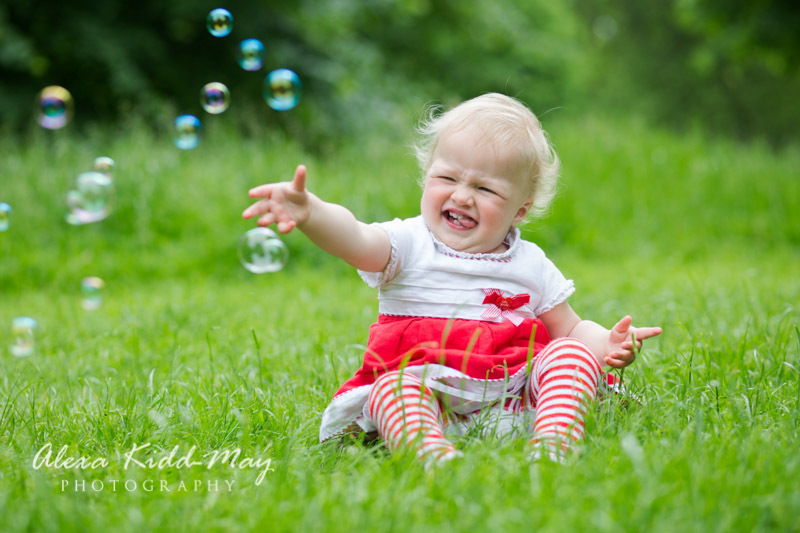 I’ve learnt to never go anywhere without a bottle of bubbles! 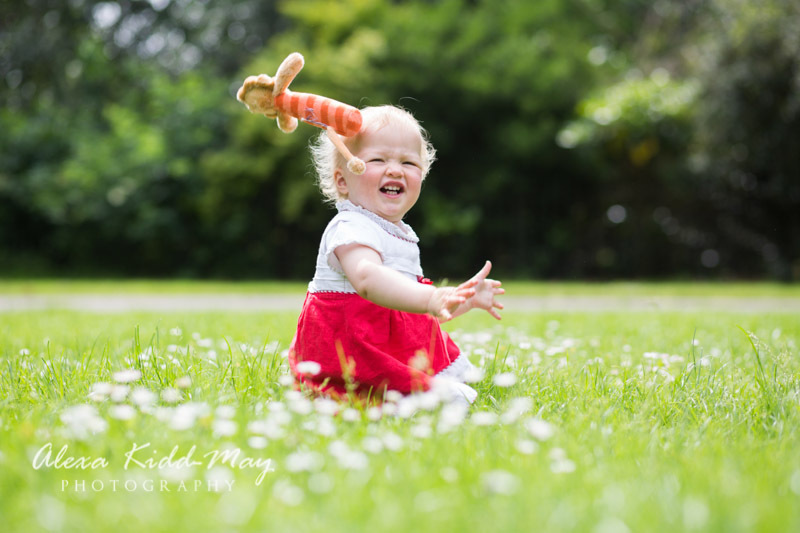 She is one of the happiest, most chilled out little girls I’ve photographed. 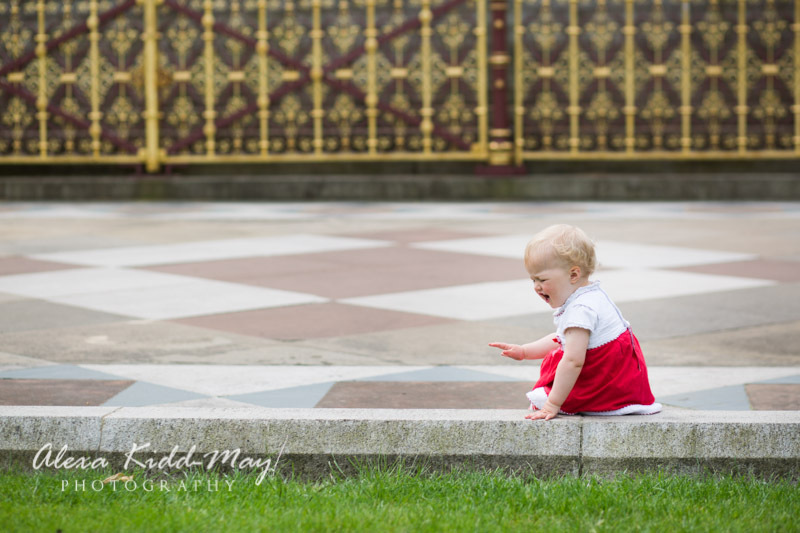 We managed to create a fantastic selection of images on this baby photography session in Kensington Gardens.